This post is for all the sensitive skin people out there and anyone that may suffer from eczema (like me personally!) 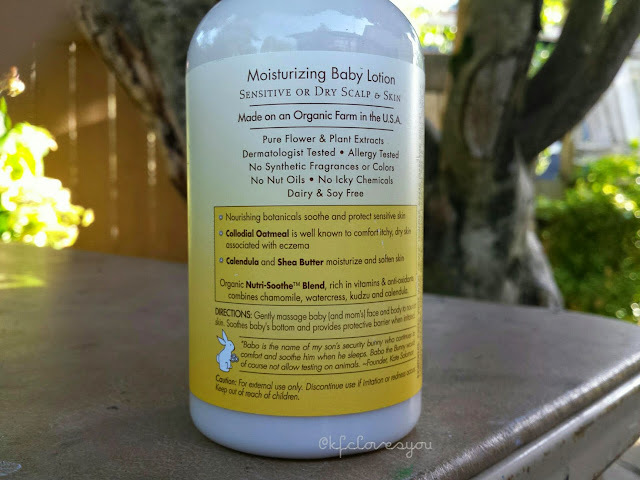 I have tried many lotions to help calm my eczema and there are a few good ones out there, but per usual, I always like to find something new that could perhaps be even better or cheaper. I have found that in this product I bought on a whim as I was searching on Ulta.com. 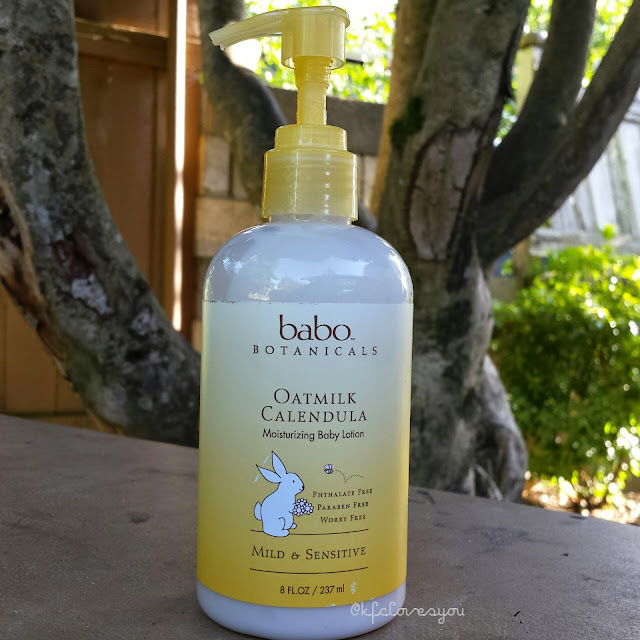 This product here is the Babo Botanicals Oatmilk Calendula Moisturizing Baby Lotion. I'm pretty sure I've seen this at Target (but I may be mistaken), but this was an online only item on Ulta. What made me purchase it was the fact that it was indeed a product meant for babies. This whole line is in fact, and if it is safe and effective for babies, why not me? After looking at reviews and researching the ingredients, I felt this would be a good product to try. since it is made for sensitive skin, designed to comfort eczema, and is made on an Organic farm in the US so the product doesn't contain any fake chemicals found in many other body products such as phthalates and parabens. The smell of this is really pleasant and is a very calming scent. It has a mildly sweet nutty/oatmeal-ish scent with the slightest hint of floral (from the Calendula plant?) but it is very soft and not overbearing at all. The formula of the lotion isn't super thick or greasy but it isn't watery/runny either. It's definitely a moisturizing lotion and soaks into the skin fairly quickly not leaving you feeling oily or anything. Though this product is a bit expensive ($16 for 8oz) compared to some drugstore options, I love how natural this product is and how it feels and works on my skin. I usually use this right after I shower and it feels amazing on, especially when my skin is feeling particularly dry or I have any eczema break outs. I find it to really calm the skin and in a sense almost heal it. The next day, the redness of my eczema definitely diminishes. This is the second time I purchased this item and I will most likely always return to it. 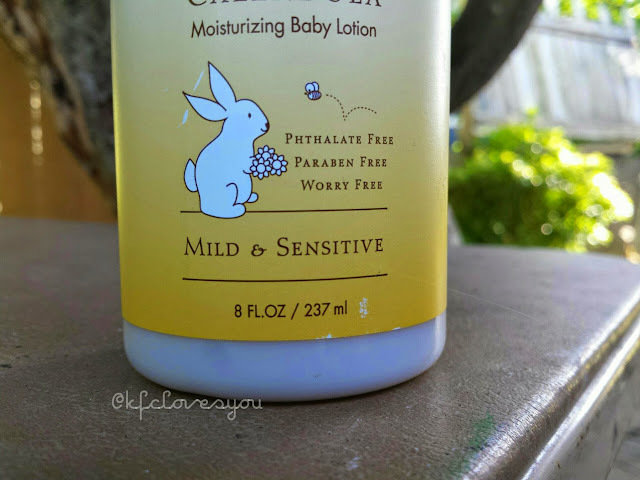 I try not to save it for days I need extra calming, only because I usually slather this on my whole body and I can use this up pretty quickly (especially since it really is meant for babies and they're much smaller than me!). If you're looking for a good calming lotion for sensitive skin, I highly recommend this one. It is even gentle enough to use on your face, and I do use it when my face feels irritated--it quickly calms it down and makes it less itchy. Readers, have you ever used products meant for 'babies'? If so, what are you favorite ones? Let me know! Exactly! Trying to find the right products that won't irritate the skin even more can be a challenge in itself.